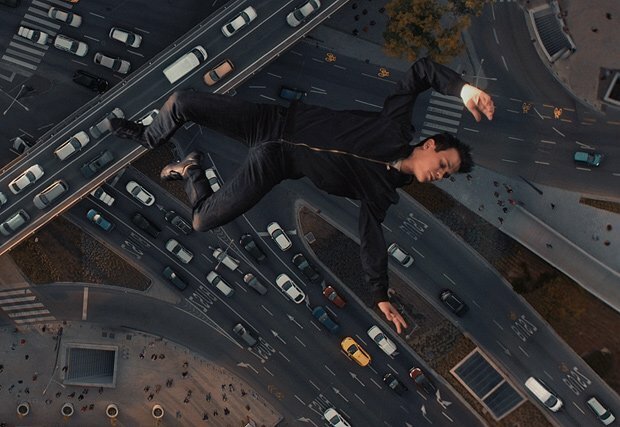 White God director Kornél Mundruczó can't be accused of lacking ambition with Jupiter's Moon. On a basic level, it strives to bring an arthouse sensibility to a superhero origins story. It is part political satire, part pulse-racing thriller, mixed with thought-provoking dystopian fantasy and possible religious parable. It may be long-winded and even heavy-handed in places but it is never dull. Syrian refugee Aryan (Zsombor Jéger) is trying to make his way into Hungary from Serbia. The opening sequence has a visceral power. Separated from his father in the chaos, Aryan runs for his life with his heart pounding and lungs bursting. He is shot three times in the chest. He miraculously survives and has gained the ability to levitate. He is now considered a valuable commodity in the eyes of cynical Hungarian doctor Stern (Merab Ninidze) who exploits him for financial gain as a miracle worker blessed with healing powers. The increasingly Christ-like Aryan starts to regard his powers as more of a curse and remains focused on finding his father. A film of restless, jittery energy and inventiveness, Jupiter's Moon turns surprisingly conventional at times with the kind of car chases, flying bullets and explosions that could be found in any superhero saga. It is a far more distinctive, engaging film when exploring ideas around redemption, rebirth, faith and hope. There is a sense of European history as a constantly repeating pattern of conflict, patriotism and paranoia, and a possibility of something else beyond human existence or understanding. Mundruczó throws all of that into the mix without ever clarifying exactly what he is trying to say. Endlessly provocative and strikingly well made, Jupiter's Moon is undoubtedly a bit of a muddle. Although overstuffed with ideas and too long, its scope and verve are often bracing. Selected release from Fri 5 Jan.
Syrian refugee Aryan (Jéger) gains miraculous superpowers after being shot in the chest. Restlessly energetic and somewhat muddled arthouse superhero movie, sometimes long-winded and heavy-handed but well-made, provocative and never dull.